When you think of outdoor recreation in the Methow Valley, it likely brings to mind miles of groomed cross-country ski trails in the winter or some epic mountain bike adventure in the summer. Few folks consider this region as a road biking destination. Think again. Some friends and I recently spent a weekend exploring the Methow Valley on our road bikes. We found some pleasant, lightly traveled roads that offered great local scenery and varied terrain. Our pace was social, and allowed for opportunities to explore our destinations and savor the local food and drinks. This scenic stretch of road could become a part of USBR 10. 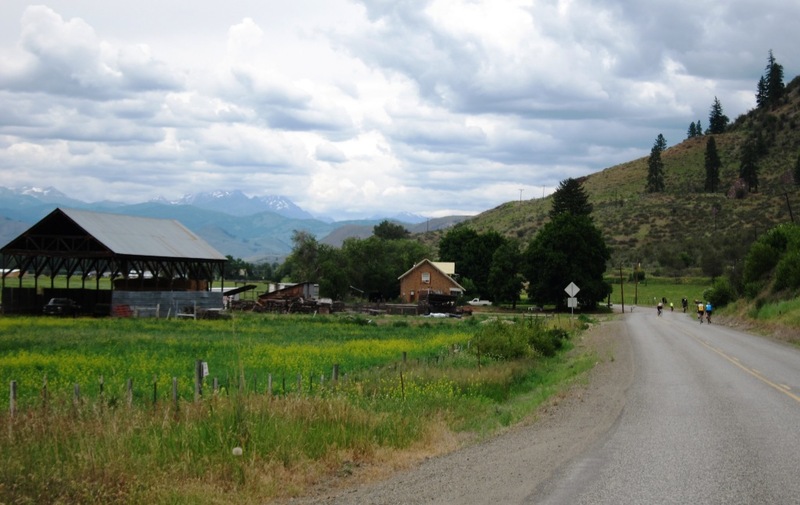 The towns of Winthrop and Twisp are popular Valley destinations and you can bike between the two communities via the less-traveled Twisp-Winthrop Road on the east side of the Methow River. This scenic and mostly level route is being evaluated for possible incorporation into US Bicycle Route 10, the cross-state northern route under development by the Bicycle Alliance for the US Bicycle Route System. If you do this ride on a Saturday, make sure you land in Twisp in time for the Twisp Farmers Market. Other great cycling stops in Twisp include Cinnamon Twisp Bakery and Twisp River Pub. When you’re in Winthrop, check out Rocking Horse Bakery and Old Schoolhouse Brewery for treats and eats. Susie Stephens Trail in Winthrop. Don’t forget to visit the Susie Stephens Trail when you’re in Winthrop. 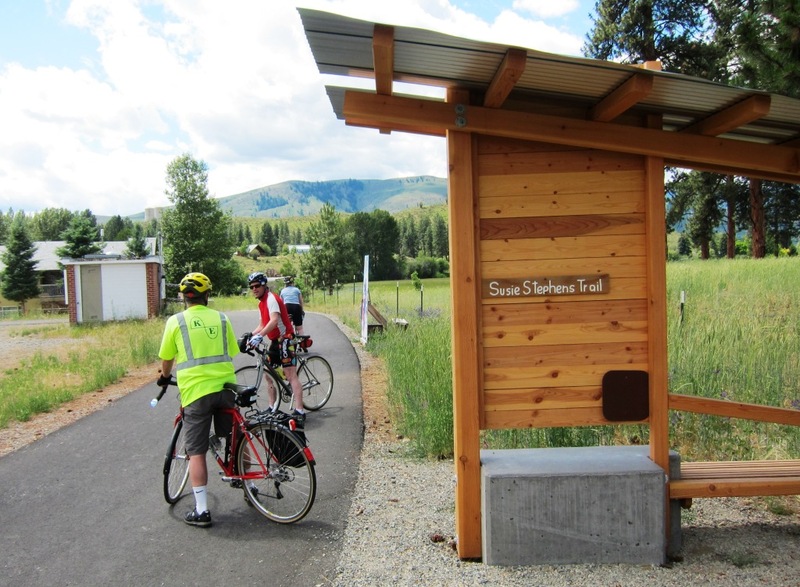 This community trail is named in honor of former Bicycle Alliance executive director Susie Stephens who relocated to the Methow Valley when she left our organization. Susie remained a passionate bicycle advocate until her untimely death in 2002. Winthrop to Twisp is about 20 miles roundtrip. You can turn this into a 40-mile ride by pedaling the Twisp-Carlton Road out and back as it follows the Methow River to the tiny town of Carlton. 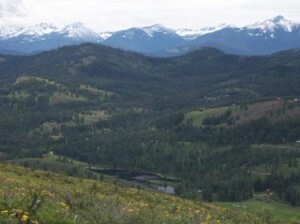 Methow Valley Sport Trails Association has a map for this entire ride on their website. The roads that parallel the Chewuch River offer some fine bike exploration into forest lands. The MVSTA site suggests a 14-mile loop ride, starting and ending in Winthrop, that follows the West Chewuch Road north to where it is joined by the East Chewuch Road. Return to town by pedaling south on the east road. Be sure to stop at Methow Valley Ciderhouse for some tasty handcrafted hard cider on your way back to town. 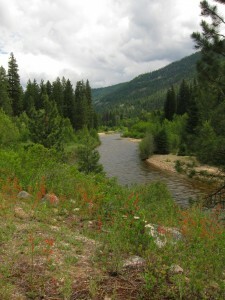 A longer bike ride is possible by following the West Chewuch Road up to its paved ending at Andrews Creek in Okanogan National Forest—about 24 miles one way. Traffic is light and you are treated to views of the river and nearby peaks. If you have a sturdy bike that can handle dirt and gravel roads, you can roam miles and miles of Forest Service roads on both sides of the river. 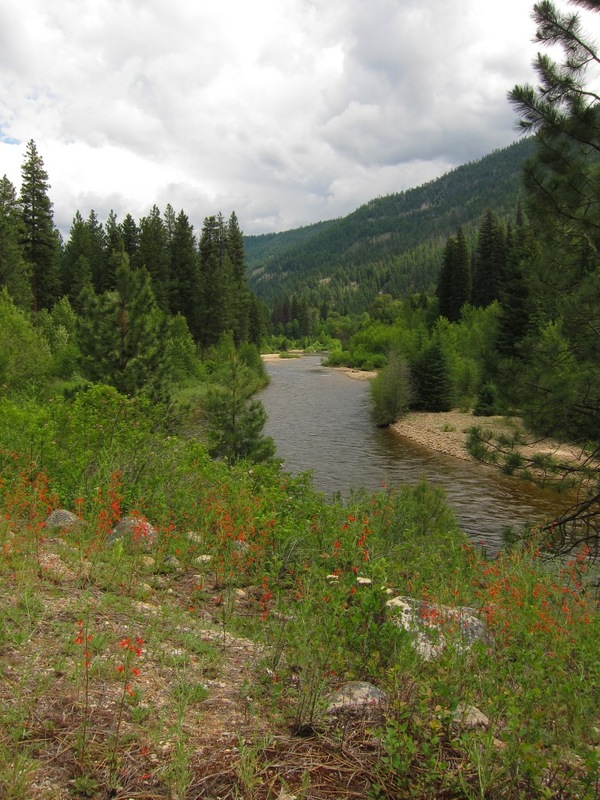 Check the Okanogan-Wenatchee National Forest site for information on ranger district offices, maps, campgrounds, road conditions, and other useful information. 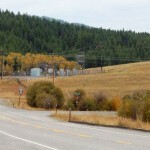 This 20-mile ride starts/ends in Twisp, uses portions of Highway 20, includes riding 5 miles on a dirt and gravel road, and does not have a watering stop along the route. That said, I like this loop ride! If you ride it counterclockwise like I did, you can escape from Highway 20 for a couple of miles by making a right onto Old Twisp Highway. This route will take you by pastoral scenes and woodlands and ends with a mostly downhill ride back into town on Twisp River Road. 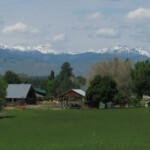 The Methow Valley is a popular tourist destination and you can find listings for vacation homes, cabins, inns and B&Bs at Central Reservations. A more social—and less expensive—alternative is North Cascades Mountain Hostel. If you’re a bicycle camper, check out the Barn Bicycle Camping located near milepost 186 on Highway 20 (west of Winthrop). 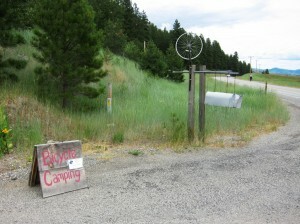 My friends and I opted to camp at a Forest Service campground and there are plenty of them in the region. Interested in bike travel? You’ll want to check out Cycling Sojourner: A Guide to the Best Multi-Day Tours in Washington. With tours around the state for every budget, every level of experience, this detailed bicycle travel guidebook will give you the how, when, and where that will inspire you to get the best possible view of Washington: from the bike saddle! Preorder an autographed copy through our Kickstarter campaign, which runs through Aug. 28, 2013. Wherever it’s possible to take a train to begin or end your travels, the book will let you know. 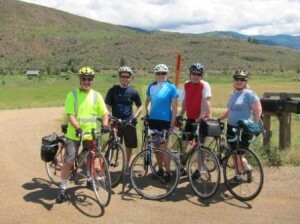 This article was posted in Adventure, Okanogan County, Rides, Tourism, Travel, USBRS. Bookmark the permalink. Follow comments with the RSS feed for this post. Both comments and trackbacks are closed.